Rocky Mountain National Park in Colorado drew 3,229,617 visitors in 2012, making it the fifth most-visited national park. 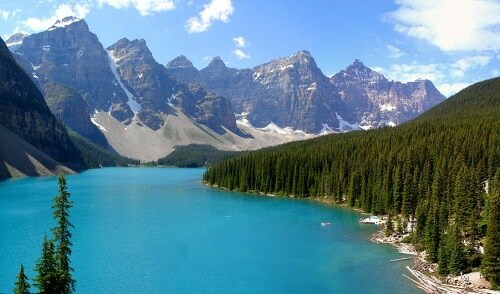 The Rockies include more than 60 peaks that top 12,000 feet. Dedicated in 1916 by then-President Woodrow Wilson, Rocky Mountain National Park includes wildflower meadows, a wide range of wildlife and crystal-clear streams and lakes. Visiting during the winter may lead to disappointment due to closed roads; spring, summer and fall are better.